You know this thing about Disney Games? Disney Games are probably the cutest games from our websites because here we are trying to publish just games that have been saw on Disney Channel on TV station, and of course if you were on Disneyland probably you've saw the real characters from these Disney Games like: Princess Sofia, Frozen, Mickey Mouse, Pluto and others. In Disney Games you can find 898 games that we've published for these kids and childrens that are interested to play Disney Games, this game gategory have been created on 13.10.2015. These games with Disney Games have been voted 1 times and the avarage of vote is 5.00 stars. We advice you to play the last flash game from Disney Games, Vampirina Bejeweled that have been published on 24.09.2018 18:09. Vampirina Bejeweled its a part of Vampirina Games category and until now its played 21924 times. Try it now on Cute-Games.com! 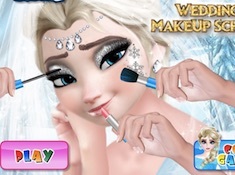 Elsa Facial Treatment its a part of Frozen Games category and until now its played 5484 times. Try it now on Cute-Games.com! Elena Of Avalor And Migs its a part of Elena of Avalor Games category and until now its played 17165 times. Try it now on Cute-Games.com! 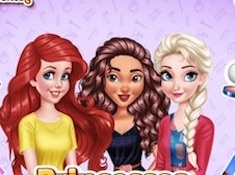 Which Disney Princess Is its a part of Princess Games category and until now its played 19249 times. Try it now on Cute-Games.com! 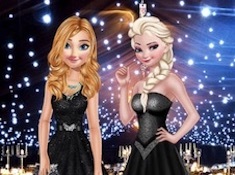 Disney Princess Fashion Battle its a part of Princess Games category and until now its played 4919 times. Try it now on Cute-Games.com! Baby Moana Sweet World its a part of Moana Games category and until now its played 4323 times. Try it now on Cute-Games.com! Baby Belle Facial Treatments its a part of Beauty and The Beast Games category and until now its played 3955 times. Try it now on Cute-Games.com! 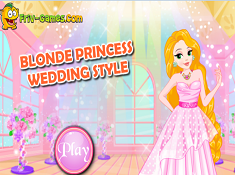 Blonde Princess Wedding Style its a part of Rapunzel Games category and until now its played 2808 times. Try it now on Cute-Games.com! 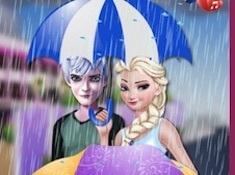 Princess Rain Day Love its a part of Frozen Games category and until now its played 2060 times. Try it now on Cute-Games.com! Princess Valentine Day Single Party its a part of Princess Games category and until now its played 1307 times. Try it now on Cute-Games.com! 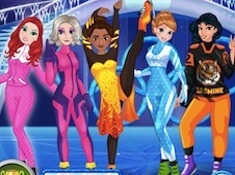 Princess Winter Olympics its a part of Princess Games category and until now its played 1591 times. Try it now on Cute-Games.com! 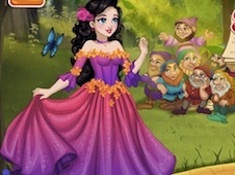 Snow White Fairytale Dress Up its a part of Snow White Games category and until now its played 924 times. Try it now on Cute-Games.com! Disney Style Vlog Spring Refreshment its a part of Princess Games category and until now its played 1080 times. Try it now on Cute-Games.com! 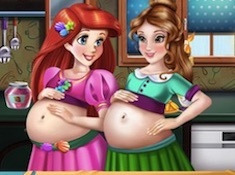 Beauties Pregnant Bffs its a part of Princess Games category and until now its played 1366 times. Try it now on Cute-Games.com! 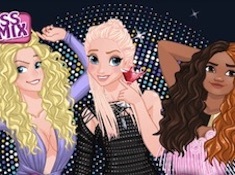 Princess in Nightclub its a part of Princess Games category and until now its played 829 times. Try it now on Cute-Games.com! Elsa Dream of Butterfly its a part of Frozen Games category and until now its played 989 times. Try it now on Cute-Games.com! 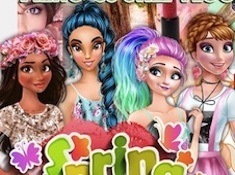 Princesses Makeup Experts its a part of Princess Games category and until now its played 896 times. Try it now on Cute-Games.com! 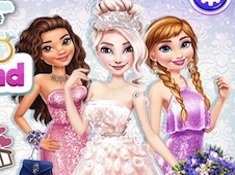 Elsa Wonderland Wedding its a part of Princess Games category and until now its played 947 times. Try it now on Cute-Games.com! Anna And Kristoff Falling in Love its a part of Frozen Games category and until now its played 752 times. Try it now on Cute-Games.com! 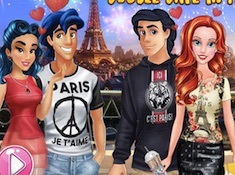 Princesses Double Date in Paris its a part of Princess Games category and until now its played 876 times. Try it now on Cute-Games.com! 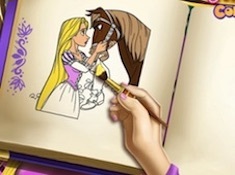 Goldie Princess Coloring Book its a part of Rapunzel Games category and until now its played 979 times. Try it now on Cute-Games.com! Twisted Valentine Date its a part of Princess Games category and until now its played 1028 times. Try it now on Cute-Games.com! 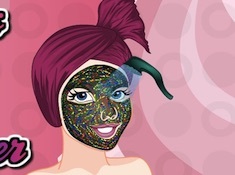 Princess Spa Makeover its a part of Sleeping Beauty Games category and until now its played 709 times. Try it now on Cute-Games.com! 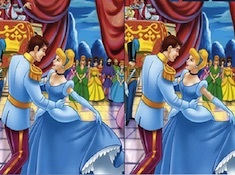 Cinderella Party Dress Design its a part of Cinderella Games category and until now its played 761 times. Try it now on Cute-Games.com! Princess Favorite Color its a part of Princess Games category and until now its played 632 times. Try it now on Cute-Games.com! 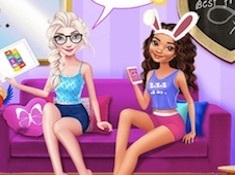 Princess Elsa Afternoon its a part of Princess Games category and until now its played 590 times. Try it now on Cute-Games.com! 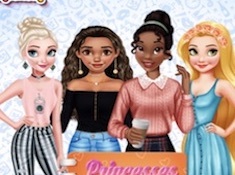 Princesses Cute Winter Sweater its a part of Princess Games category and until now its played 505 times. Try it now on Cute-Games.com! 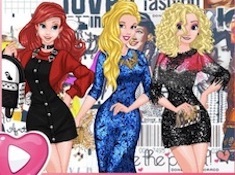 Fashionista Cosmetics its a part of Ariel Games category and until now its played 514 times. Try it now on Cute-Games.com! 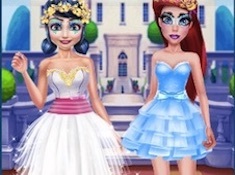 Princesses Bff Fashion Blog its a part of Princess Games category and until now its played 677 times. Try it now on Cute-Games.com! 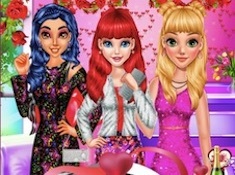 Bffs Valentine Day Party its a part of Princess Games category and until now its played 477 times. Try it now on Cute-Games.com! 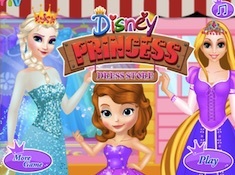 Disney Princess Dress Store its a part of Princess Games category and until now its played 708 times. Try it now on Cute-Games.com! 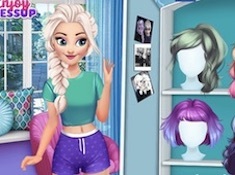 Elsa New Look its a part of Frozen Games category and until now its played 450 times. Try it now on Cute-Games.com! 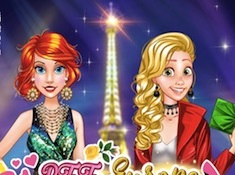 Bff Europe Shopping Spree its a part of Princess Games category and until now its played 478 times. Try it now on Cute-Games.com! 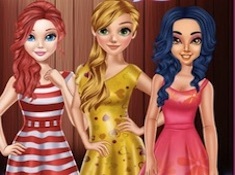 Disney Princesses Barbie Show its a part of Princess Games category and until now its played 511 times. Try it now on Cute-Games.com! 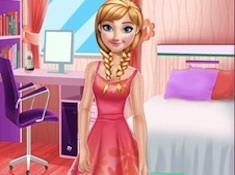 Princess Dressing Style Challenge its a part of Frozen Games category and until now its played 473 times. Try it now on Cute-Games.com! 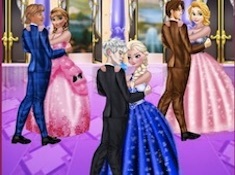 Anna Ideal Date its a part of Frozen Games category and until now its played 428 times. Try it now on Cute-Games.com! Princess Car Cleaning its a part of Princess Games category and until now its played 778 times. Try it now on Cute-Games.com! Princess Office Design its a part of Princess Games category and until now its played 502 times. Try it now on Cute-Games.com! 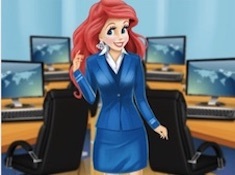 If your like the Princess Office Design game you can write a comment in the game page. Recommend this game to your friends if you like it! 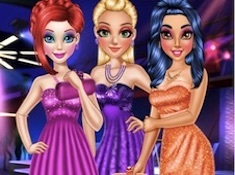 Princess Club Night Party its a part of Princess Games category and until now its played 502 times. Try it now on Cute-Games.com! 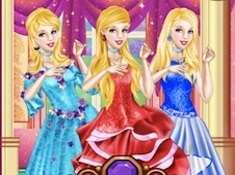 Princesses Lifestyle Cosy and Active its a part of Princess Games category and until now its played 444 times. Try it now on Cute-Games.com! Elsa Wedding Anniversary its a part of Princess Games category and until now its played 609 times. Try it now on Cute-Games.com! Disney Princesses Drawing Party its a part of Princess Games category and until now its played 497 times. Try it now on Cute-Games.com! 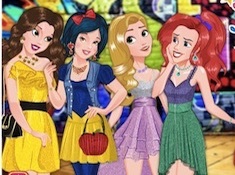 Disney Princess Modern Look its a part of Princess Games category and until now its played 595 times. Try it now on Cute-Games.com! 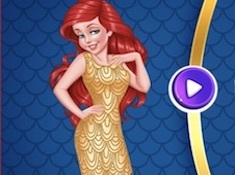 If your like the Disney Princess Modern Look game you can write a comment in the game page. Recommend this game to your friends if you like it! 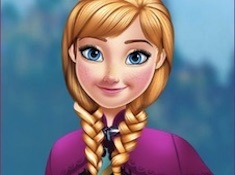 Princess Anna Eye Make Up its a part of Frozen Games category and until now its played 460 times. Try it now on Cute-Games.com! Princesses New Year Goals its a part of Princess Games category and until now its played 431 times. Try it now on Cute-Games.com! 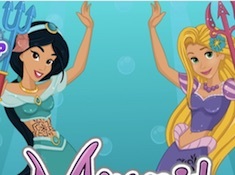 Mermaid Princesses its a part of Princess Games category and until now its played 673 times. Try it now on Cute-Games.com! 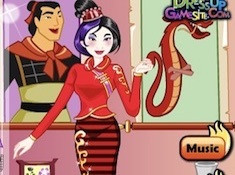 Rapunzel Monster High Fan its a part of Rapunzel Games category and until now its played 424 times. Try it now on Cute-Games.com! 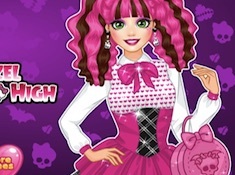 If your like the Rapunzel Monster High Fan game you can write a comment in the game page. Recommend this game to your friends if you like it! 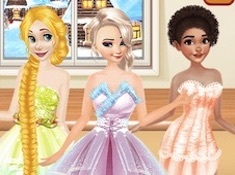 Princesses Cooking Christmas Dinner its a part of Princess Games category and until now its played 538 times. Try it now on Cute-Games.com! 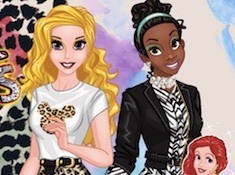 2018 Style Guide Princess Edition Animal Prints its a part of Princess Games category and until now its played 517 times. Try it now on Cute-Games.com! 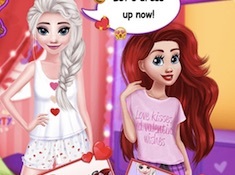 Elsa and Ariel Date Looks its a part of Princess Games category and until now its played 521 times. Try it now on Cute-Games.com! High School Day its a part of Rapunzel Games category and until now its played 419 times. Try it now on Cute-Games.com! If your like the High School Day game you can write a comment in the game page. Recommend this game to your friends if you like it! Princess Ballet Show its a part of Princess Games category and until now its played 479 times. Try it now on Cute-Games.com! 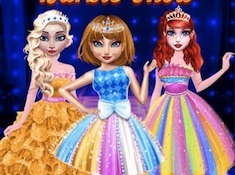 If your like the Princess Ballet Show game you can write a comment in the game page. Recommend this game to your friends if you like it! 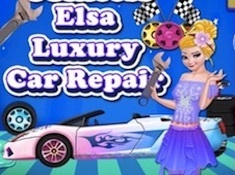 Princess Elsa Luxury Car Repair its a part of Frozen Games category and until now its played 600 times. Try it now on Cute-Games.com! Find More About Disney Games! 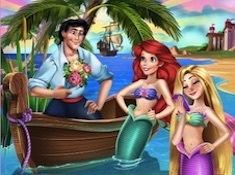 Our site presents to you our new Disney games, in which you will discover a new magical world. Disney is the world of fantasy and magic where all the fairy tales come to life and brings to us the most fantastic stories. Here you meet all the princesses like Ariel, Belle, Cinderella, Rapunzel, Snow White and many others and also the villains from stories with princesses like Cruela de Vil, Maleficent or Evil Queen. All that characters you will discover in Disney games because we want to offer you magical games. Because the time passed and now the princesses and villains have their children we also have games with them. For that you will meet here Ben, son of Belle, Audrey, daughter of Cinderella, Mal, daughter of Maleficent and many others because brought to you all the Disney world in one single category which is Disney games. Disney begins with fairy tales with princes and princesses and evolved to produce series with real actors. For that, today we have series like “Jessie”, “Violetta”, “Shake it Up”, “Girl meets World”, “Hannah Montana” and a lot of more series and movies in which Disney shows how children became teenagers. After we saw how love beat the Evil Queen in Cinderella for example and how she lived in a magical world, now we see children which fight for their dreams and ideas. We have series with talented children and teenagers, with music and dance and also with love and cabal like in the real life. Even Disney evolved, nobody can forget the princesses who we have learned us how to be good, decent and with good manners. For that Disney extended the stories through their children in a modern movie named “The Descendants”. Cute-games.com offer to you games with all that characters in which you will have to confront with a lot of situation. You will have to choose dresses for princesses and our teenager stars and also you will have to do their hair or makeup. We also have puzzle games in which you will have to find pictures with some characters or coloring books in which you can create your favorite character in the way that you want. Also we have adventures games in which you will meet superheroes from Disney and you will have to fight with the enemies or with the villains from fairy tales. We prepared to you big surprises and we hope you will enjoy it and we want you to have a magical journey in Disney world from cute-games.com. We hope that you will enjoy our fantastic Disney games and if you want other games that we haven`t publish all you have to do is to tell us what game do you want and we will publish it for you. Stay with us and you will discover more over the time. 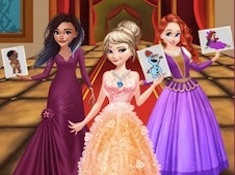 Disney Channel and Disney XD will bring you the best games from this TV station, you have just come here on Cute-Games.com to play for free all these games with your super heroes.